American Tourister Kids’ Disney 107610 is the 28” hard side, expandable, spinner suitcase with the beautiful “Mickey and Minnie Romance” theme and colors. It came out on the market in July 2018 and first appeared at Amazon.com at the end of July. It is offered in three color options of Black/White/Pink, Pink/Black and Blue/White, with different themes and with the same price tags at the time of this review. This modern imported hardside spinner bag has a solid and durable ABS and PC- polycarbonate exterior (split case shell) with interior polyester lining. It has the elastic straps with fun printed lining and a big lining mesh pocket inside. It has a convenient solid push button telescoping American Tourister branded handle that locks at different points. The exterior is resistant to impact with its sturdy ABS + PC construction and scratches thanks to its textured shell finish. Whichever pattern and colors you pick, this is a high quality and great looking suitcase with a sleek and contemporary design. The four single spinner wheels look a bit small but are built to last over your many journeys. The bag is sturdy and durable yet lightweight and will let you fit in more on your trips. It weighs just 7.2 pounds and measures 28 x 19.75 x 12 inches without the handles and wheels (31 x 19.75 x 12 inches overall). The Disney 28” Suitcase looks stylish, sleek, contemporary and modern and is very easy on the eyes. And with the colors and the Disney pattern it is very easy to spot on the carousel when you come out of the plane at your destination. Your clothes and other items are easy to access with its convenient user-friendly design. You can use it easily on your family holidays, weekend or longer trips. 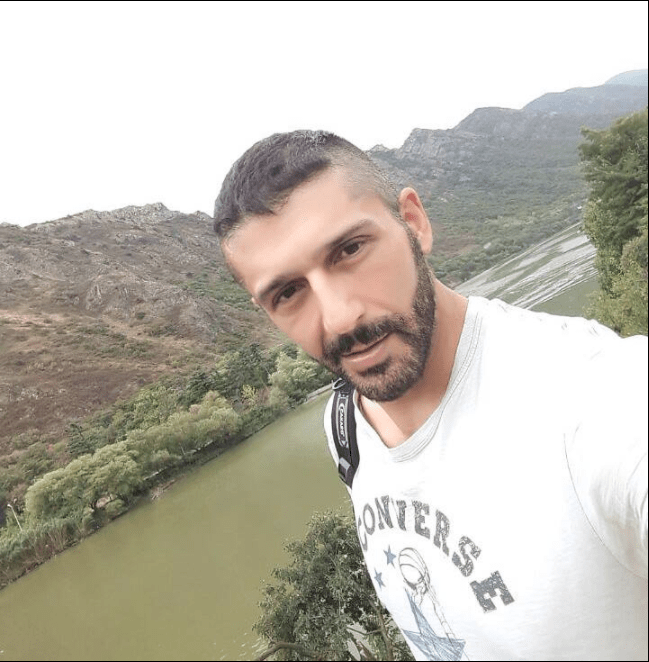 As a con, one of the customers commented on the exchange policy of the company- that they couldn’t order another one before returning the damaged item and get a refund. 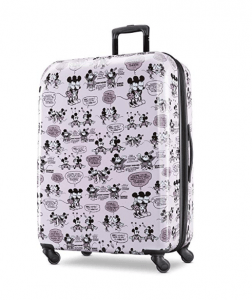 Although this suitcase stands out with its cute Disney theme design and is easy on the eyes, it is built rather robust and durable and comes with some great user-friendly features. It offers good capacity with an ample space of storage on both sides inside. Please keep in mind that any luggage items you purchase online will have a packaging that shows the contents. And this is valid for the brand new release American Tourister Disney suitcase. So if you wish to have a bit of privacy and do not want the box show what’s inside, you simply need to select “Conceal Package”.